If you'd like to enter you can enter the Sneaking Duck competition here, and the Shoes of Prey competition here. 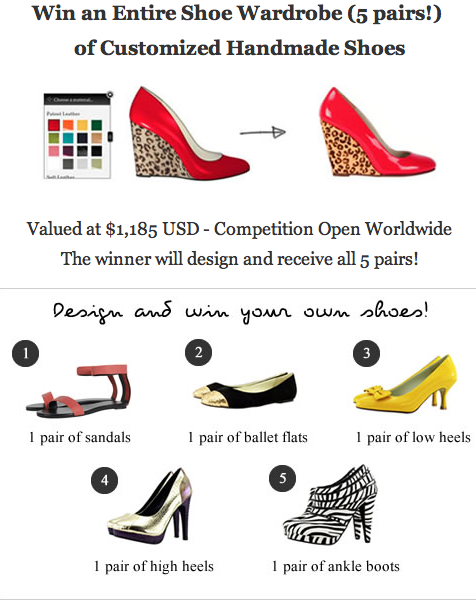 The competition ends 31 March 2012. Given the competition ends in a couple of days I thought I'd take the time to analyse the return on investment we're looking to get from the campaign. What have we received for this? We had ~20,000 new likes over the month we've run the competition. While Facebook reports that 12,572 of these came via ads, the Facebook ads system reports that 17,687 of these new likes came via ads. The ads system records anyone who saw an ad and subsequently liked the page, whereas the page insights records people who click on an ad then liked us on the page as being an 'On Page' like. The ad system's number is the better one to use, so we only had ~2,500 new organic likes for the month which is about normal, so the competition didn't drive any of these. So for our $6,800 spend we had ~17,500 new people like us at a cost of $0.38 per like. We need to do some further work to understand the value of a like to our business, but my understanding is $0.38 per like is not bad compared to industry norms of around $0.50. If anyone has industry figures they've seen on this, particularly for other fashion brands I'd love to learn more. We had 4,000 people enter the competition. Part of the entry process involved subscribing to our email newsletter, so that's 4,000 new email subscribers at a cost of $1.70 per email subscription. We're only just starting to delve more heavily into the world of email marketing, so we don't yet know what the value of an email newsletter subscriber will be for our business, however talking to other online fashion brands they're generally willing to pay around $4-$5 for an email newsletter subscriber, so we're well under that figure. Again, if anyone has figures from other fashion retailers about the value of an email newsletter subscriber I'd love to learn more. According to the Google Analytics assisted conversions report, Facebook drove $3,900 of sales in assisted and last interaction conversions over the month. We're not entirely sure how much of this was driven by new likers in the month who clicked on our ads versus existing likers, and unfortunately Facebook doesn't allow any tagging of their ads to help with this. We'll likely try turning off our Facebook ads for a few weeks and measure the baseline sales so we can understand this better. The only number I can go on is the 'Talking about us' figure Facebook provides on our page. Before we started running ads heavily a few months ago this figure sat at around 1,000. It's currently on 6,000 so for now it's a reasonable estimate that 5/6 of the sales were driven by the ads, or $3,250. It's important to note that the above three results are cumulative, so for $6,800 we received 17,500 likes, 4,000 email newsletter subscribers and $3,250 in sales. Given we would happily pay $6,800 for the results from each of 1 and 2 on their own, overall that's a very good return on investment and a successful competition. The next step is to work out how to do this on a larger scale! next could be to look at your fans location and run localised campaigns with targeted copy speaking to that audience, you could run multiple campaigns with some good spend especially if you had 1000+ fans in those regions, this can be done anywhere in the world you want to generate sales from. We've used competitions to boost our subscriber numbers in the past, but have found that the subscribers we gained were not as likely to purchase as those who subscribed via our website without any incentive. I'd suggest keeping your new subscribers on a separate list so you can measure their value. Hey guys, nice work. We're really keen to run something similar in the next couple of months. I'd certainly be looking at revenue, opt out and engagement rates from the 4000 new subscribers. On a separate list or marked as a segment is a good suggestion so you can normalise against your site opt in subscribers. Also offering this list a specific offer / split tested offers? We ran a email list growth campaign a couple of years back that we thought did really well adding around 20K subscribers but the incentive to join wasn't aligned with our demographic (yes pretty stupid) and we found they hardly bought anything from us. I think what you've done is great. Good work Mike. Very interesting - thanks for sharing. It would be good to know who you were targeting in the ads. Given that you have to leave your email address to enter the competition, your 20% conversion is very low. I'd imagine the vast majority of the 80% people didn't realise they had to leave their email address to enter the competition give that fact was buried in the T&C's. Great suggestions everyone, thanks. We'll definitely keep these new subscribers segmented in our list so we can see how well they perform v our normal email subscribers. Andrew, good thoughts around improving how we run the competition too. I think it will be quite different next time we do this given the launch of Timeline for businesses... not sure how that's going to play out given we can't set a specific welcome page anymore.